Theodore Minis Etting was born on May 25, 1846. As the son of Edward Johnson Etting and Philippa Minis he was born into one of Philadelphia’s oldest and most prominent Jewish families; his ancestors had settled in Pennsylvania in 1758, and some had fought in the American Revolution. Etting enrolled in 1861 as a member of the College Class of 1865. During his time at the College, he was a member of the Zeta Psi fraternity. He left during the first term of sophomore year to volunteer for the Civil War, with an appointment as acting midshipman on November 28, 1862. 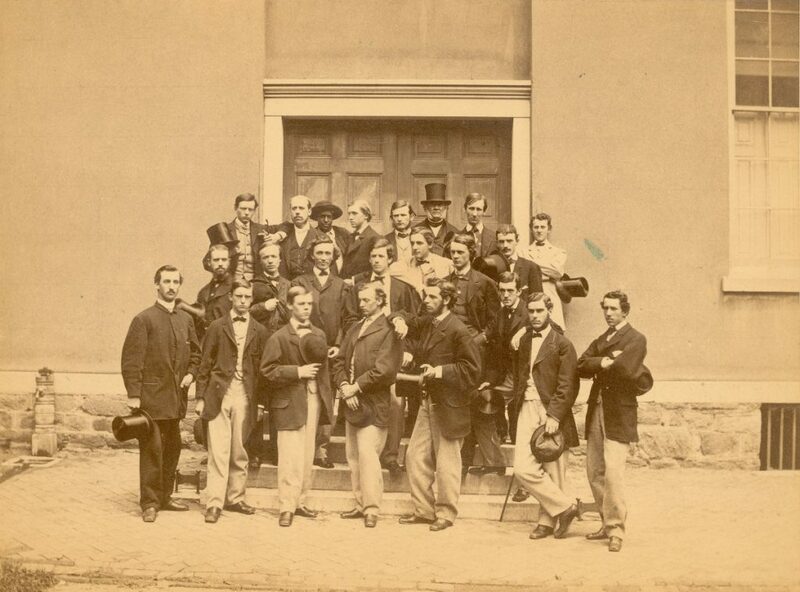 After the war ended, Etting graduated from the United States Naval Academy in 1868. He rose to the level of lieutenant before resigning from the Navy with an honorable discharge in 1877. Two years later, in 1879, Etting earned an LL.B. from the University of Pennsylvania Law School, where he was awarded the Sharswood Prize for his subsequently published essay, “The Admiralty Jurisdiction in America.” A marine lawyer, he was elected to represent the eighth ward of Philadelphia as member of the Select Council in 1885. Etting married Jeannette Verplanck of Fishkill-on-Hudson, New York, who died in 1925. Theodore Minis Etting died in his Rittenhouse Square apartment on November 14, 1927. Funeral services were held at the Church of St. Luke and the Epiphany, and Etting is buried in the Woodlands Cemetery, Philadelphia. Two brothers, Newbold and Reuben, also attended the University (though neither graduated), as did a cousin, Frank Marx Etting (Class of 1854) and an uncle, Elijah Gratz Etting (Class of 1812).